Boring stuff. Even the originals were that and the new versions won't help on them. 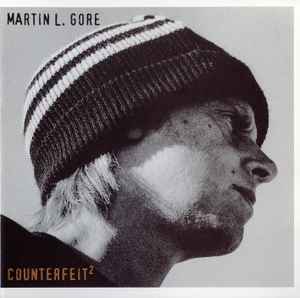 Not bad but these songs don't suit to Martin Gore. Instrumentation is good but I don't know why the hell the distortion must be present in all Depeche Mode / Martin Gore related stuff? Some melody-tracks, drums, persuccions are disturbingly distorted (and the worst example is the Exciter). Some synth-usage is very nice here but despite of it, as a massive depeche fan, I doubt I will ever have a hunger for listening the Counterfeit 2 again. the traditional folk song "in my time of dying" which begins this disc was previously done by bob dylan. i´ve heard it on a dylan album my parents own. dylan´s version is nice, but if you compare the two versions, i can´t help but feel that martin´s brings out a greater depth of feeling than does dylan´s "folkier" version. "Oh My Love" seals the deal for me, a gorgeous gentle electronic lullaby. Anyone who enjoyed ISAN's remix of "Goodnight Lovers" should love this track, and if you care for the man's angelic voice at all, pick this up.